Months ago I was chatting with the Joanie of Keeping Up With Mom and we were discussing various mommy things like preschool and such. Joanie told me of her alternative preschool approach involving the playground at their local McDonald's. We laughed (I'm pretty sure she was laughing, too) and then I tucked it away in the back of my mind where most things go and never return. Fast forward a few weeks to last week. My lovely Lolly has been out of preschool for almost two months. TWO MONTHS PEOPLE! Two months without that social outlet that she so badly needs. Because my Lolly is one social girl. A social butterfly, if you will. Now, this lack of social outlet is, I believe, what has lead to a some difficult times in the Chaos' household. 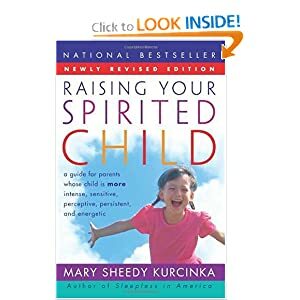 And when there is a parenting dilemma I consult my personal Parenting Bible, also known as Raising Your Spirited Child by Mary Sheedy Kurcinka. I was scanning the glossary in the hopes that the answer to all my problems (at least these particular problems) would just jump right out at me. I read various bits and pieces throughout the book but didn't seem to find the answer that I was looking for. But I did find something. Over and over again. Introvert versus Extrovert. The needs of each and the importance of meeting those basic needs. Now, I had read this MANY times. Because, you see, while my Lolly is a beautiful extrovert, her mama is an introvert. A social introvert, but an introvert none the less. Which means that I recharge by spending time by myself. And extroverts recharge by being with people, with friends, socializing. I think of this often, especially the part about how an introverted parent CAN NOT parent an extroverted child on their own. Extroverted children just need so much. And every time I think I'm going crazy, I remind myself of that. I can not, as an introvert, parent my wonderful child, an extrovert, on my own. Now. Are we noticing another theme? I didn't at first. It took a while. But I saw it eventually. Look closely. Notice the me's? The I's? The focus on how hard it is for me to parent her. And yet forgetting that as difficult as it is for me, it's probably a little frustrating for her not having her needs met. Then came the epiphany. Parenting my girls is not actually about me. It's about them. It's about helping them to grow into the people that they are meant to be. That's not to say that I shouldn't also take care of myself. But that's not parenting. That's self care. And showering. Unfortunately, this isn't the first time I've had that particular epiphany. I'm just grateful that I manage to remember it more often than not. This particular epiphany was a new one though. I've read, lots and lots, about introverts versus extroverts and really have tried to use this information to help me better parent my girls. I've tried to provide Lolly with as much socialization as I can tolerate. We chat and discuss all day long. Every day. From the moment she wakes up to the moment she falls asleep. I am pretty patient with her questions, of which there are many. And I encourage sisterly love and play between Lolly and Babs frequently. And yet. It wasn't enough. We were starting to have a lot of discipline issues and I was getting frustrated to say the least. I'm the Mom not the social director! Here is the important part of all this rambling, as enjoyable as it all is. Even though it was very unintentional, depriving Lolly of her daily social needs (that were just not being met by family) was essentially the same thing as forcing a shy, introverted child to socialize and play with strangers all day long every day. Just less obvious. So! That became my new daily parenting goal. Make sure that Lolly gets some socialization (besides me & Babs) every day. Sound complicated enough?! Oh, it is. At least for me. Gone are the days of just going outside and playing with whatever kids happened to live on your street. Nowadays, it's all about play dates. And with the play date, you also have to entertain the mother. Not always fun. Especially if you don't particularly enjoy the mom. Or if you were hoping to get some housework done while the kids played. We have one or two friends that we can do the drop off play date with, but I can't exactly call them everyday. That would make me slightly stalker-ish in a non-socially acceptable way. I decided to brainstorm! Doesn't that sound so exciting?! I would come up with a list of alternative social activities that we could do with little to no planning in between play dates and other activities. My obvious first choice was the library. As much as my kids love the library, all the shooshing from mom is kind of a buzz kill. The park! Nice in good weather. Assuming there are actually other kids there which isn't the case most of the time. My good friend Hairyshoefairy suggested grocery shopping, which is totally going into my Social Activities Parenting Arsenal. There was just one idea that I kept coming back to. It would work no matter what the weather was outside. And the likelihood of other children being there was good. Very good. It had so many things going for it. 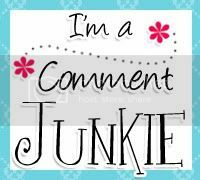 What was this mecca for childhood socialization that would not drive this Mama crazier?! McDonald's Playland. Joanie is brilliant. We tried out the McDonald's Playgroup today for the first time. My girls were happy campers! They got to go to McDonald's! And play on the play ground! I was the Best Mom Ever for the day! And me? I could relax, enjoy my fries and just be. I could talk to people. Or not. No one cared. I watched the kids play and glanced at my magazine a bit. That was a little difficult to do while keeping an eye on the girls. Next time, I'll just sit by the door. Everyone was happy. My girls got to socialize and play and I could just be....all Zen-like. It. Was. Awesome. Yay! Yay! Yay! I'm so glad it went well! I wanted to go but laid on the couch to nap for 20 minutes and woke up an hour and a half later so I totally missed it. I still think this is a brilliant idea, though. You're welcome to come down for a play date at the park with Fi. She loves socializing and being an only child can make things a bummer. I love that book! Our pediatrician recommended it to me when our very spirited oldest was 3. As I read it I saw so much of my son's personality explained. lol. apologies about the "No Preschool" Ha Ha. It's killingTrey as well. BUT, it's June, and Play dates will be starting soon! yay! I'll be emailing out a list next week. I hope his will help as Mykelle is the same as Lolly, and needs the socialization. AND, you can call me anytime to send her over to play for a few hours. Mykelle would love it! I have that book too! As the mom to a spirited soon-to-be-kindergartener who finished preschool last Friday I am more than sympathetic to your predicament. Summer is always my most fearful time of year and I imagine that he feels similarly. Here's hoping we all make through somehow! Well it sounds like you've got quite a few social opportunities tucked away. Are there any weekly playgroups in your area? That might be an option. I still like playgrounds and parks too. The grocery store is a great idea!